Get skilled up for an exciting role – which could be one you’d never imagined was connected with the primary industries! Maybe you think working in the primary industries is only about milking cows or shearing sheep. Actually, these production-type roles, though important for our economy, are just one part of a much bigger picture. services – providing professional services to support primary industry businesses, like policy advice, veterinary and financial services. Agricultural field representatives sell products such as seed, grain and farm equipment to farmers. They also advise them on how to grow good pasture, use agricultural products effectively and manage their crops and livestock. Demand: Opportunities are good for agricultural field representatives as agriculture is growing in New Zealand. Once you have experience, your opportunities increase and you’re likely to be offered jobs by rival companies. Salary: You’ll start out earning about $45,000 a year, with the potential to earn up to $120,000. Entry requirements: A diploma or degree in agriculture, commerce or farm management is recommended and knowledge of farm management and farming techniques is an advantage. Most nationwide companies operate a cadet trainee programme for new entrants. You can also work towards qualifications such as a National Certificate in Agrichemical Supply (Level 3) while working on the job. Food technologists research and develop new food and drink, and improve the quality of existing products. They may also develop or improve the processing, packaging, storage and safety of food in line with government and industry standards. Demand: Opportunities are good for food technologists as there’s a national shortage with too few food technologists to meet growing industry demand. Salary: You’ll start out earning about $50,000 a year, with the potential to earn up to $95,000. Entry requirements: A Bachelor’s degree in food technology, food science or food engineering is highly recommended. You’re also likely to have to complete an on-the-job training programme specific to the products and processes you’re working with. Forest managers plan and direct the planting, growth, harvesting and protection of forests grown for wood production. Demand: Opportunities for forest managers are good because forest planting and harvesting are increasing to meet growing demand for logs. The New Zealand Government is also investing in forestry research and encouraging sustainable forestry programmes. Salary: You’ll start out earning between $41,000 and $52,000 a year, with the potential to earn up to $130,000. 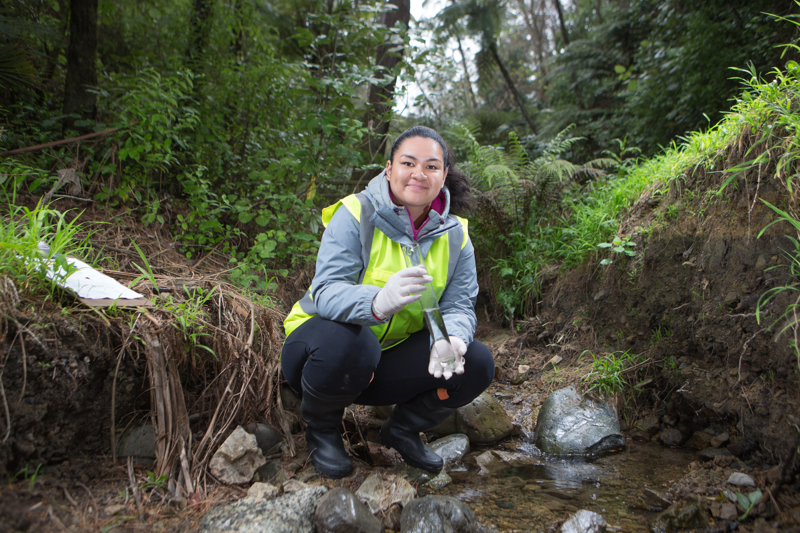 Entry requirements: A Diploma in Forest Management (Level 6) from Waiariki Institute of Technology, or a degree in forestry science or forest engineering (Level 8) from the University of Canterbury. Agricultural/horticultural scientists study farm animals, soils, pastures and crops, and find ways to improve their yield, health and quality, and prevent pests and disease. Demand: Opportunities are good for agricultural/horticultural scientists who want to work on ways to increase agricultural productivity and sustainability. Salary: You’ll start out earning between $55,000 and $67,000 a year, with the potential to earn up to $100,000. Entry requirements: A PhD in an area such as agricultural science, microbiology or biochemistry. Demand: Opportunities are good for environmental engineers as there’s a shortage of engineers to design new infrastructure needed to meet the demands of climate change and limit the environmental impact of new highways and buildings. Salary: You’ll start out earning about $45,000 to $75,000 a year, with the potential to earn up to $160,000. Entry requirements: A three-year Bachelor of Engineering Technology degree, or four-year Bachelor of Engineering or Bachelor of Engineering with Honours degree specialising in civil, environmental and natural resources engineering. Demand: Opportunities are good for policy analysts as there is demand for analyst skills by a range of employers. Salary: You’ll start out earning about $47,000 to $57,000 a year, with the potential to earn up to $170,000. Entry requirements: A Bachelor’s degree in economics, resource management, law, social science, history or arts is recommended, and some employers prefer you to have completed a post-graduate qualification. working with tools, machinery and equipment. skilled at communicating with, and managing a variety of people. Many people are working in jobs you may not have connected with the primary industries. Did you know you could take your love of computing and finance – or even more arts-based interests like marketing and social sciences – to the primary industries? The sheer size of these industries (it’s estimated they provide employment for 1 in 6 workers) means there are lots of opportunities for people with a wide range of skills. Many primary industries businesses are also large employers that need a wide range of skilled people to run efficiently. For example, Fonterra, New Zealand’s co-operative dairy company, employs 22,000 people across the world. policy analysts to research and advise on ethical and legal issues associated with exporting products. You’ll see people working in a variety of roles in the video on Moana New Zealand, an iwi-based fisheries business. There are communications personnel, and training and business planning managers working alongside fishers, oyster shuckers and packing workers. You’ll also discover how the right attitude and willingness to learn can open up your options to continue training and upskilling throughout your working life. Getting a business-related tertiary qualification for example, can take you from working in production and processing to management, supervising and planning. Fonterra and Moana New Zealand are just two of the many companies in the primary industries that require a diverse set of skills. So explore roles that interest you and remember whatever your talent, there’ll be a place for you in the primary industries. Fishing for a new career? Discover the different skills and roles at Moana NZ - 5.57 mins. If you need help with your career decision making, you can contact us for expert career advice between 8am and 6pm every week day, for free.